As a general rule, I'm a food blogger, but I seem to get myself involved in all sorts these days, as most folk do the whole 'lifestyle' thing. Blow Ltd had asked me a few times to do a review, and after a bit of a tough week, my friend Ellie and I decided to take the plunge before our afternoon of fun in Manchester. Bright and breezy, we were off to the big smoke, where it was so cold that my nose was like a beacon and my toes were frozen for at least 24 hours. We arrived safely at Debenhams Market Street to have a toot at what Blow Ltd was all about. The concept is simple. You make an appointment for your desired treatment, choosing from hair up, a blow dry, make up, nails, or a combination of the lot. 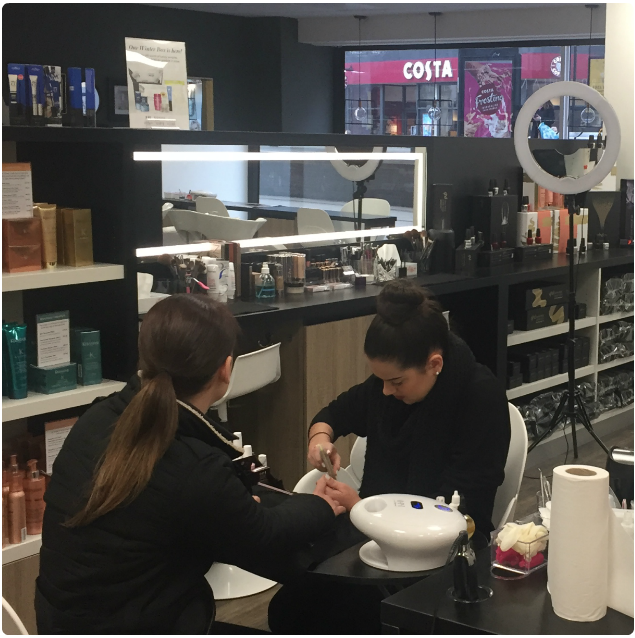 You book online or via the app, and choose whether you want to come into the salon, have it done at home, or even at the office! What an amazing concept! We were talking at work about pre-work's do hair and make up in the break room... Imagine folks' faces? Brilliant idea though. I'm a lifelong lover of the classic red nail, and can usually be spotted wearing one of about 50 shades of the same colour! 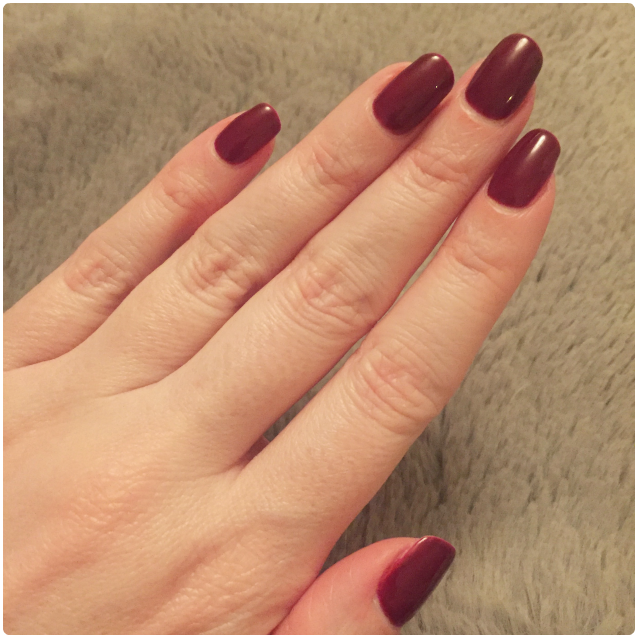 I decided to put an OPI gel version through its paces, to see how it compares to my usual polished look. Ellie went for the total opposite of a beautiful baby pink. Big fan of OPI. The salon in Debenhams is like an Aladdin's cave of amazing hair products, make up, and styling tools. I feel like I could walk in here looking like a windswept goat, and appear an hour later feeling like a Disney princess. I clearly had high hopes! My nails are like actual talons, but I decided to have them trimmed down after an unfortunate incident involving an ill advised hard punch to a pad, in an ill fitting glove, left a crack in my thumb nail... I was so pleased with these beauties. What a lovely experience we had. The ladies in the salon were chatty, but super quick, and we left feeling a million dollars. An OPI gel manicure is £40, and although we booked, if they have availability, you can just walk in too. So if you find yourself with manky chipped polish, you could nip in and get a manicure done in a jiffy. We're definitely going back here. Also, if you sign up to the mailing list like we did, I've noticed that you get regular money off offers too. We followed our lovely morning with lunch out and cocktails in our favourite gaff. What a heavenly little day. Disclaimer: This is a review, and we were invited for manicures free of charge. We were under no obligation to say nice stuff.